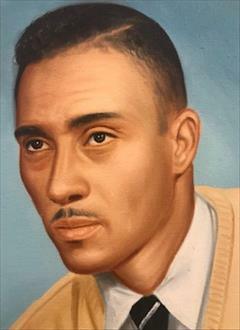 Obituary for Harry J. Royster | Collins Funeral Home, Inc.
Harry Joseph Royster Sr., son of the late James and Lillian McDade Royster was born on November 26, 1923 in Durham, North Carolina. He made his farewell, peaceful journey, to heaven on March 25, 2019. Harry attended Durham Public Schools and retired from UNC Memorial Hospital after 40 years of service in 1985. Mr. Harry married on March 8, 1945 to the love of his life, Katie Mae Womack who preceded him in death in 2012, after 67 years of marriage. He was also preceded in death by a daughter, Yvonne Royster Harris in 1990. He leaves to cherish his memories two daughters; Cynthia Royster Dodd(Kenneth Dodd), Jacquelyn Royster Thornton(Anthony Thornton), one son, Harry Joseph Royster, Jr., six granddaughters; Anissa Harris Green(David Green), April Harris Easley(Mark Easley), Keisha Dodd Burley(John Burley), Keia Monai Dodd, Nicole Royster and Jessica Lynn Velasquez, twelve great-grandchildren; JahQuez, Jahre’a, Tori, Jaida, Michael, Jaslyn, Ariya, Ava, Ryan, Ahkelia, Jackson and Chase, one sister, Jean Millerand a host of nieces, nephews and friends.